We remember last year when Archer revealed this title to us, having just come up with it in conversation with his assistant. Join us for our annual visit from Archer! Set during the 2011 real-life Tropical Storm Irene that ravaged much of Vermont, Joe Gunther and the Vermont Bureau of Investigation pitch in to help the state’s overextended authorities. What Gunther and his agents end up with in Three Can Keep A Secret is an odd, seemingly unrelated batch of cases: a patient who calls herself The Governor has walked away from a state mental facility when the flooded facility is evacuated; and a seventeen-year-old grave site is exposed, revealing a coffin that had been filled with rocks instead of the expected remains. Amidst the turmoil and the disaster relief, it’s up to Joe Gunther and his team to learn what really happened with the two corpses-one on hand and one missing-and what secret “The Governor” might have still locked in her brain. Can't make the event? Call us (603-224-0562) or email us (gibsons@totalnetnh.net) to have us put a copy aside to be signed for you. 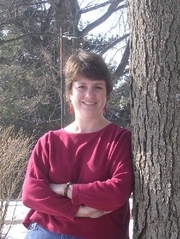 Judy Clemens is currently considered a "single author." If one or more works are by a distinct, homonymous authors, go ahead and split the author. Judy Clemens is composed of 2 names. You can examine and separate out names.